Do you love Starbucks? If so, you may want this coming scare day to be a memorable one. 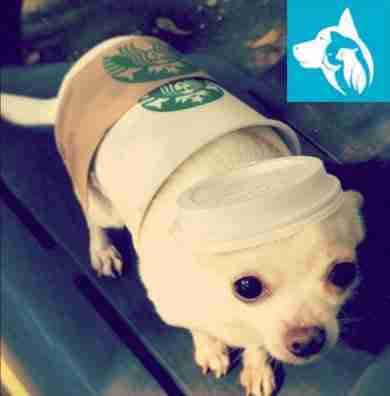 A simple homemade costume with just an ordinary starbucks coffee cup can turn your dog into a latte to remember. Have you ever wanted a pet turtle? Okay, well have you ever wanted a pet turtle that is fast? Well, now you can have one for a day. 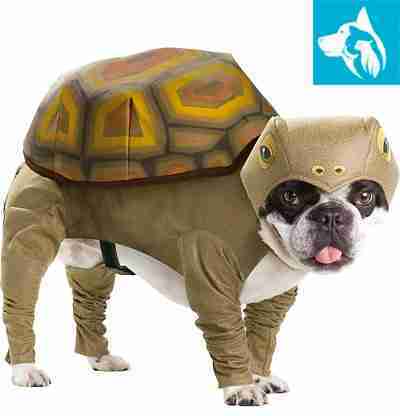 Dress your dog up as a turtle for this special holiday and be sure to take many pictures! Who doesn’t love animals and who doesn’t love the zoo? 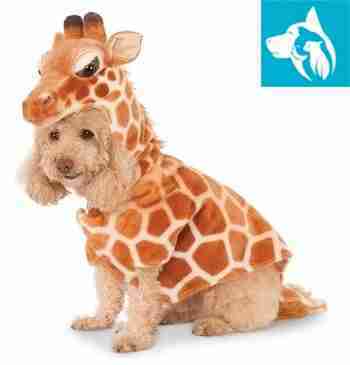 Take a zoo animal into your very own home by dressing up your domestic pal into a giraffe for a day! Imagine having nature grow on your very own pet! 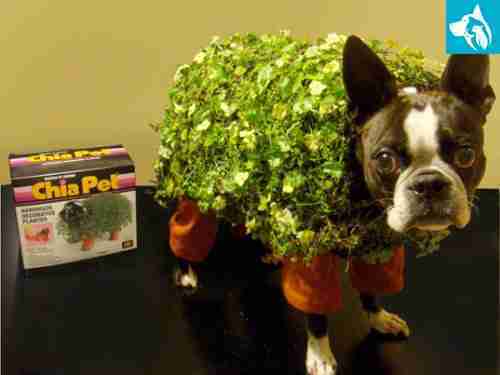 Now you can, with the chia pet costume! You can buy a package yourself or make it on your own! Here’s another way you can celebrate Star Wars! 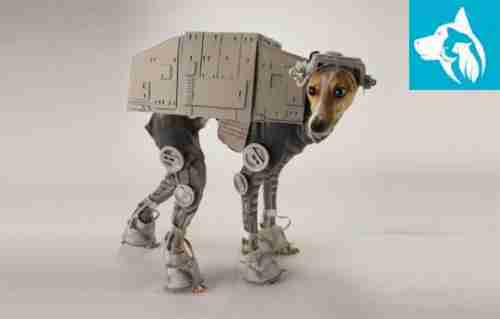 Dress your dog up as an AT-AT walker unit! Watch as it walks around and attacks the Rebel Alliance units and jedi. Or see if it still runs and fetches that throwing stick or tennis ball. We hope we helped inspire some great and creative ideas for you this coming Halloween. Why not spend the holidays making everyone in the family scary, or funny? If you liked this list, be sure to share it with many others! 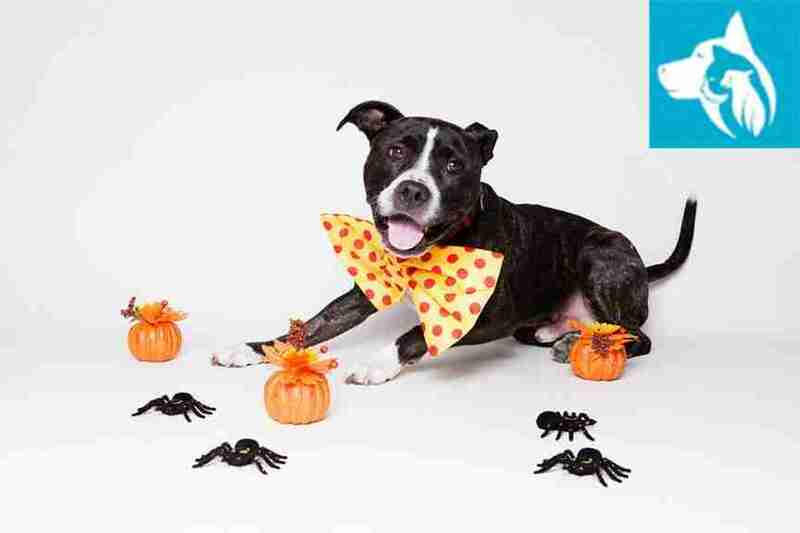 Also, comment below to let us all know what you decided to dress your pet as, we’d love to know!